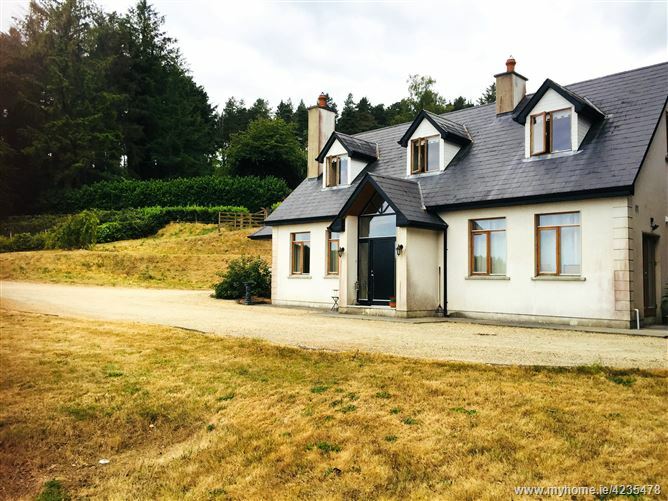 Seldom does an opportunity arise to reside in the country in a spacious home like this and especially in a picturesque and convenient area such as this. 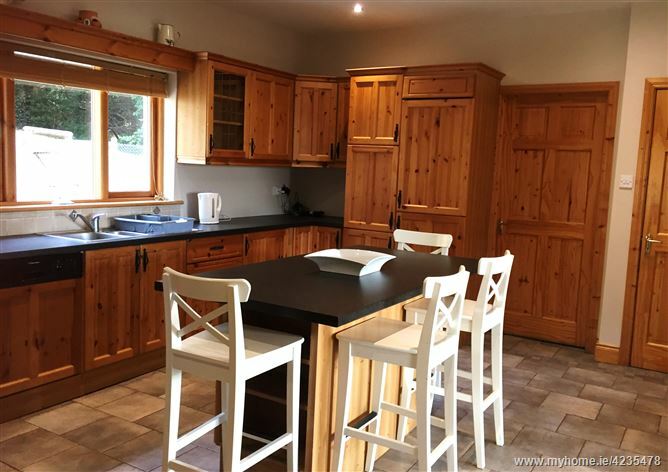 The breathtaking views of rolling countryside and farmland are terrific and belie the fact the N.11 is less than 5 minutes driveway. 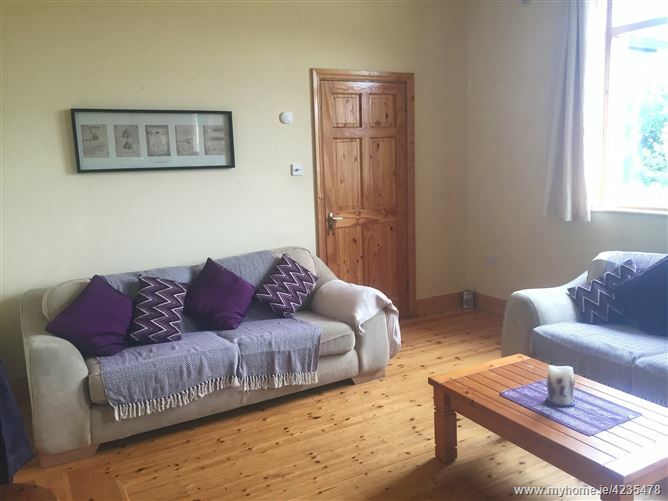 The owner of the property has created a self contained and fully insulated apartment at one side of the house, with all its own services enabling the tenants to live in the remaining spacious accommodation with their own gardens and patios. 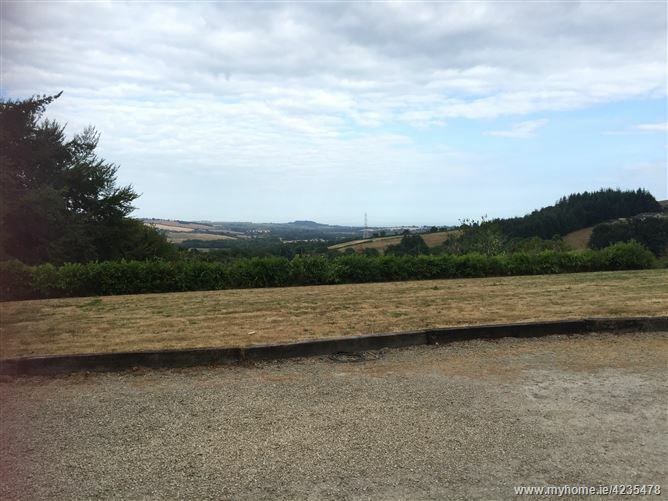 The house is approached from the road via a winding , gravelled driveway with ample parking and turning area. 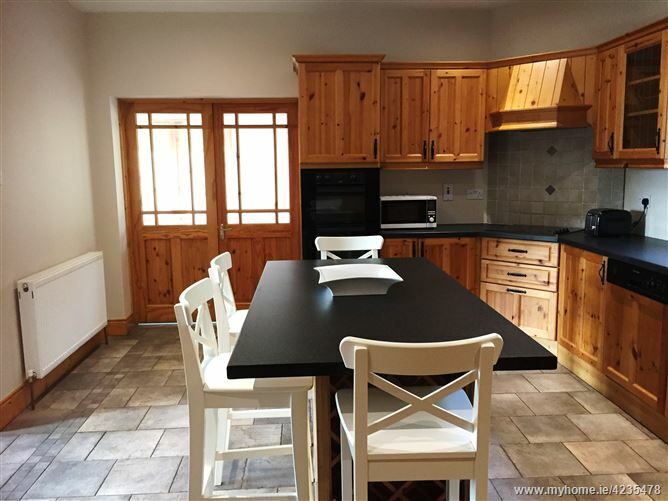 The feature split level front hallway leads to a large well fitted and equipped kitchen with utility room. 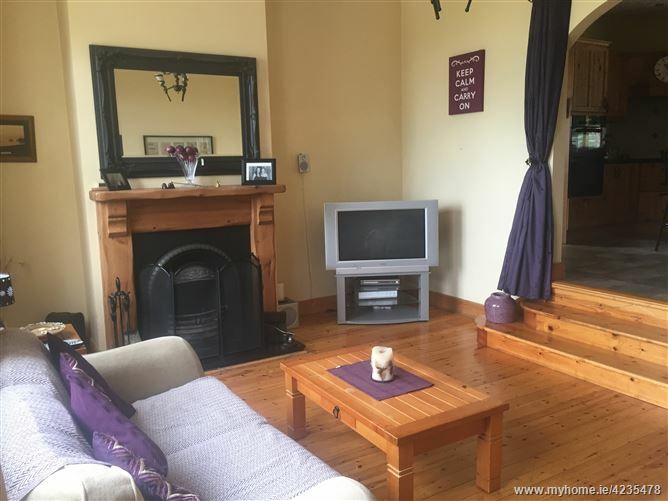 Steps lead to the livingroom, with solid wooden floor and open fireplace. 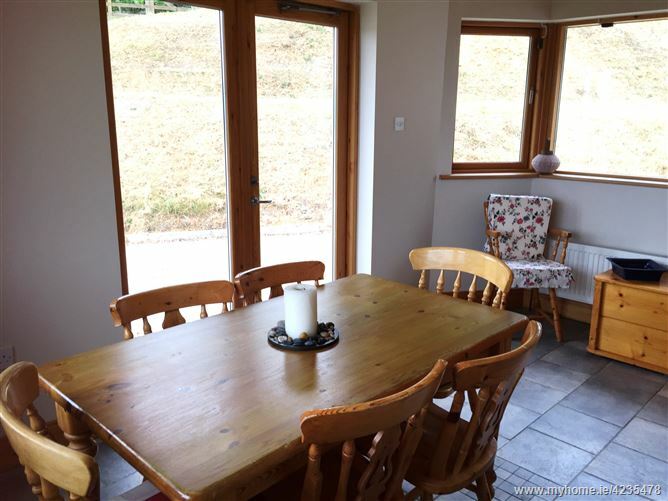 The kitchen leads onto the sunroom with the most amazing outlook over the gardens and countryside. 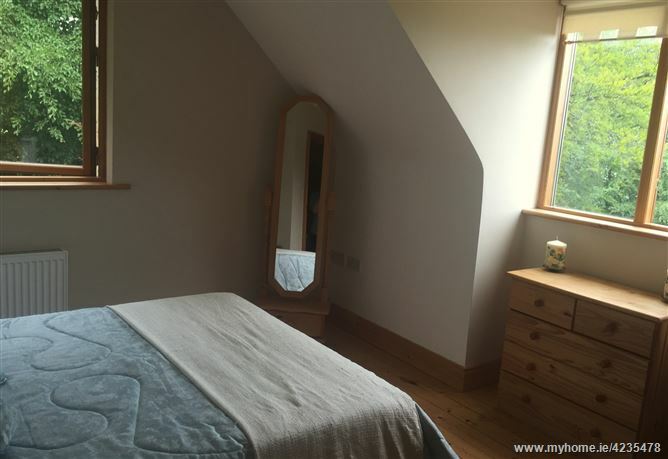 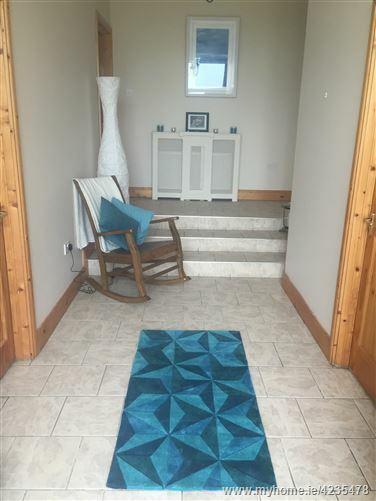 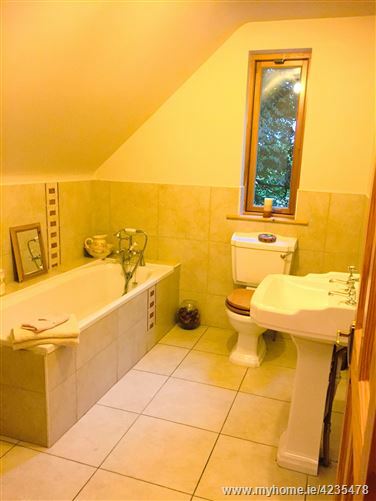 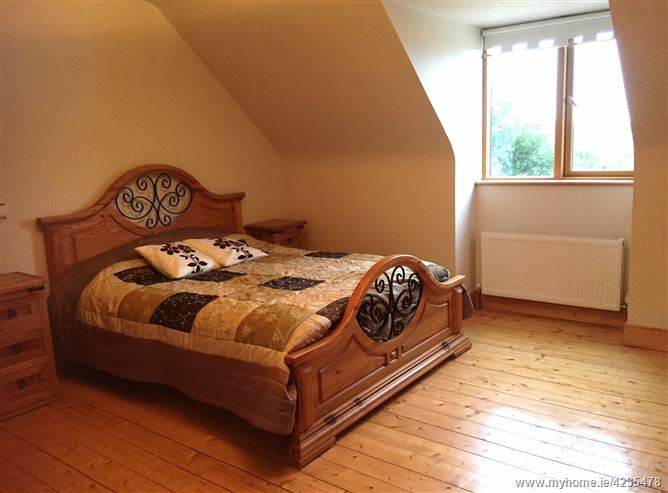 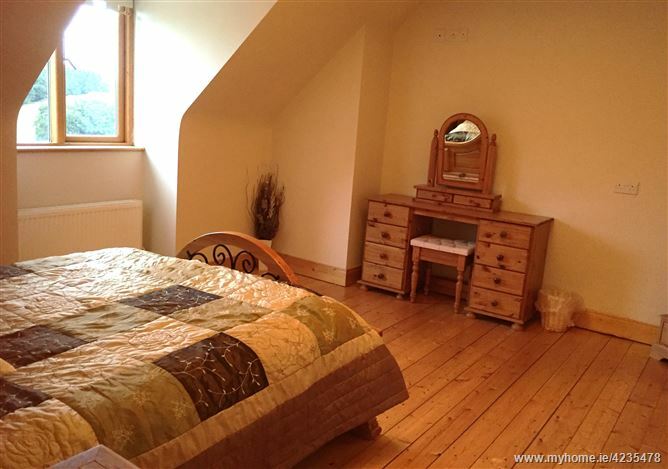 Upstairs are two double rooms, one ensuite, a single room/home study and tiled bathroom. 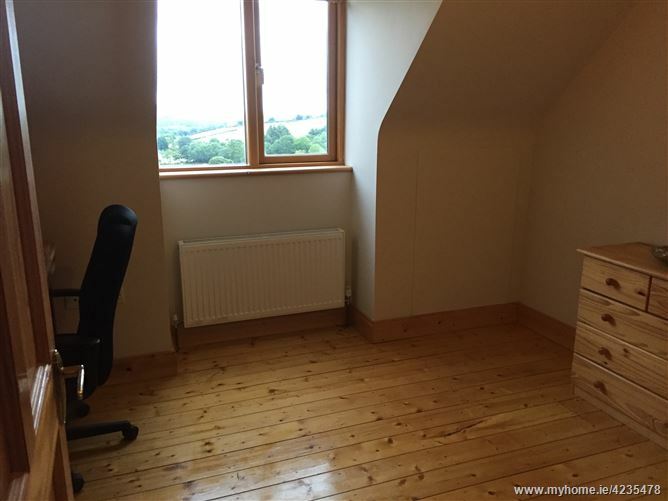 Heating is by an oil fired radiator system.